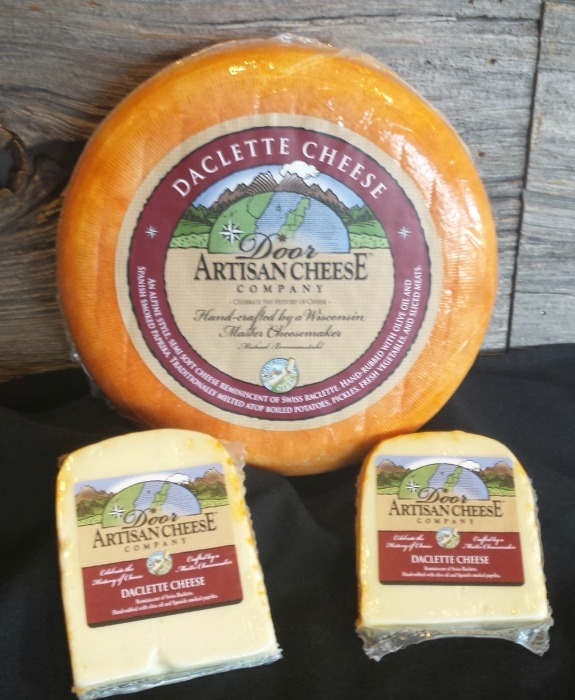 An alpine style, semi firm cheese reminiscent of Swiss racletter Hand rubbed with olive oil and Spanish smoked paprika. Traditionally melted atop boiled potatoes, pickles, fresh vegetables and sliced meats. Click the button below to add the Daclette Wheel to your wish list.